The Bosphorus has become a huge part of my life here in Istanbul. Not only does it provide transportation and a lovely place to walk, it offers a spectacular view from the Robert College campus. 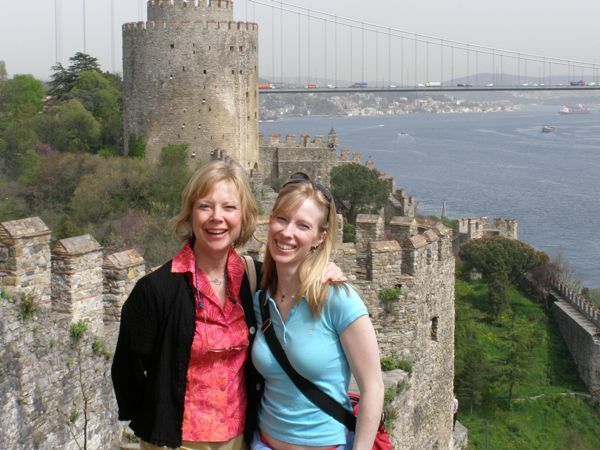 What a lift it is to look out over the Bosphorus from the school each day—unreal! 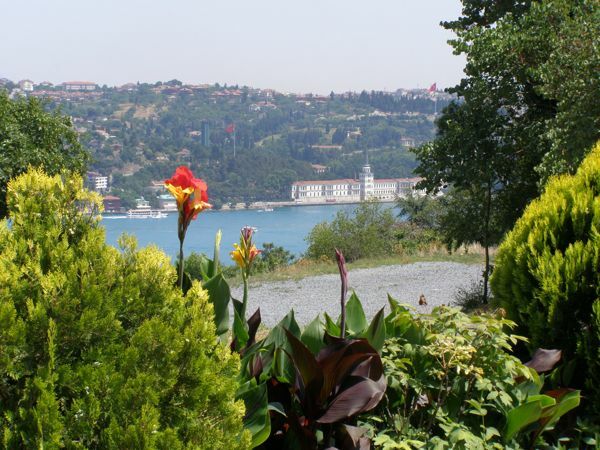 Though it’s an altitudinal challenge, I have resolved to walk down to the Bosphorus every day—just because I can. My record is slightly less than perfect, but it’s been great. 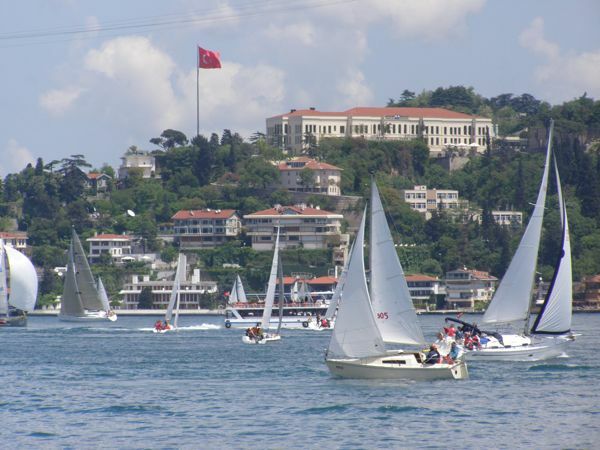 A Bosphorus sailing regatta—a rare occurrence, happening only a few times a year. It’s amazing to live above the busiest waterway in the world. Although it’s actually a strait, it looks more like a huge river with hills towering on each side. Twenty miles long, the Bosphorus is always busy with tour boats (speakers blaring in every language), ferries (much quieter), day/night cruises (traveling cocktail and dinner parties), and commercial ships plying the lanes both north and south. Some of the container ships are of mind-boggling size, to say the least. And believe me, they leave a mega-wake. 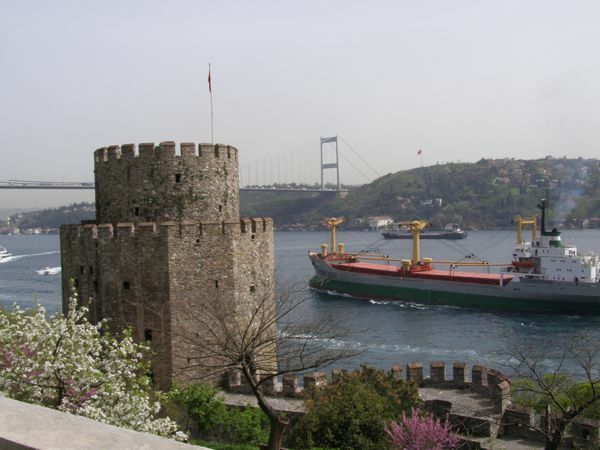 The Bosphorus connects the Black Sea with the Sea of Marmara (about the size of Lake Superior). It has formidable currents—I often see the water’s surface churning. Apparently there are double currents, with less saline waters flowing down from the Black Sea at a velocity of 1-2 m per second, while the Maramara’s more saline, denser water flows north at lower depths nearly four times as fast (from the Encyclopedia of Ukraine). Expert Bosphorus pilots are ferried out to each ship as it enters the waterway to guide them up (or down) the Bosphorus, disembarking at the other end to board another ship for the trek back. 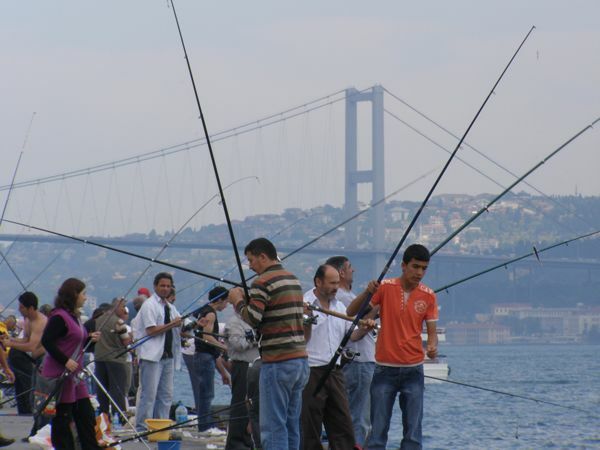 But the charm of the Bosphorus is more than that; it’s the lovely yalı (old mansions) along the water, the fishermen (and women) casting along the quay, and the pleasure boats. 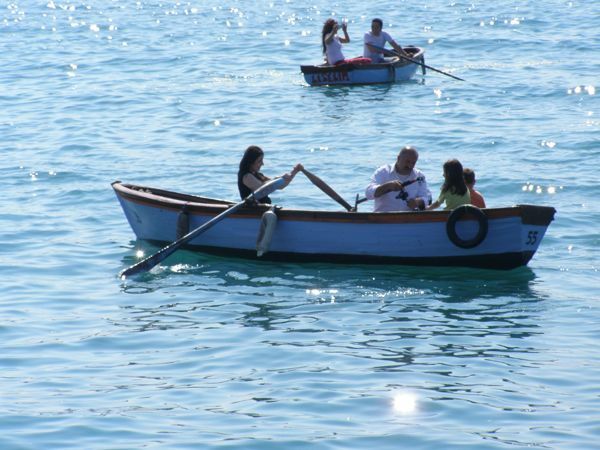 …and others fishing from boats. 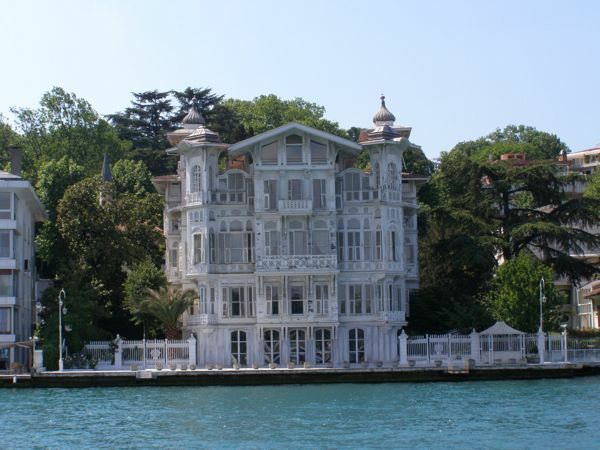 It’s seaside restaurants and tea gardens, the ever-changing lights on the first bridge, and the ornate Ortaköy mosque. It’s beautifully lit historical buildings at night—ah, the Rumeli Castle (I just learned that “rumeli” means European, with roots back to the Orthodox Christians), and the moon rising over the hills. 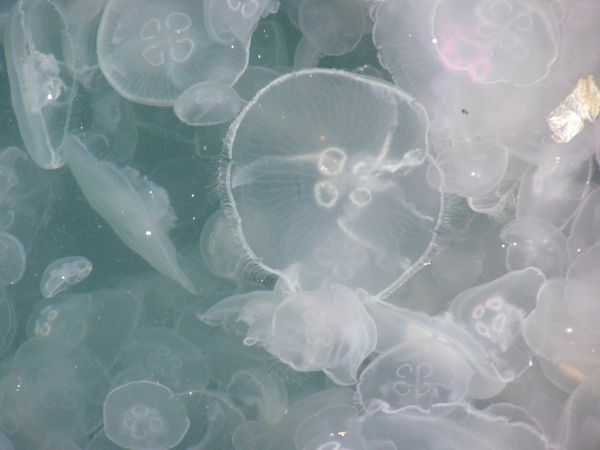 Jellyfish abound in the lee of the yachts along the quay. My home at Robert College in Arnavutköy overlooks the Bosphorus, with the Kuleli Military School dominating the view, especially when it’s lit at night. It’s amazing. It’s inimitable. It’s the Bosphorus. My night view—Ah! The Bosphorus! It is not just about the charming view, bosphorus has an other dimension of sensuality that only few people would feel deep inside. Geez. That’s your night view? Bloody amazing!